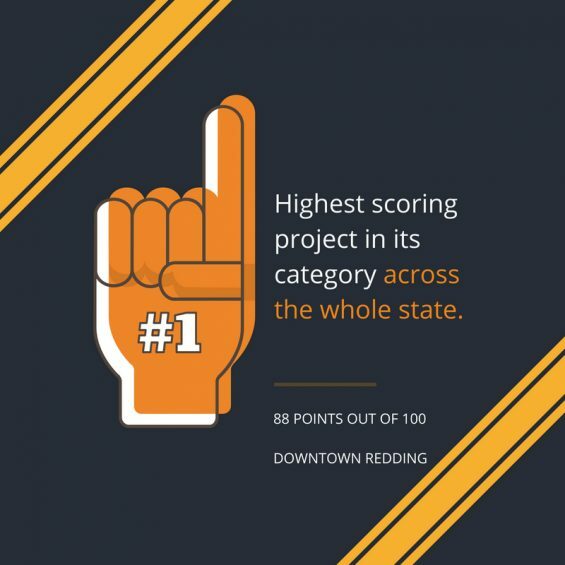 The Redding community proves that it can compete at the state level, by bringing home $24 million for downtown projects. 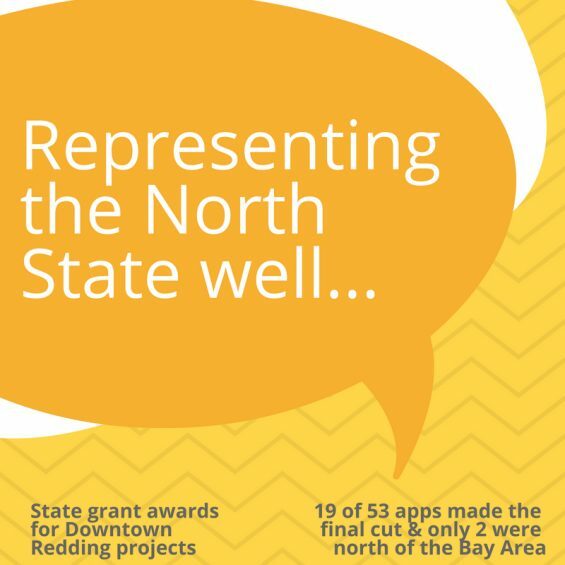 This transformational effort wouldn’t have been possible without the voices of many community members who see the *potential* in downtown Redding & want to make a better future together. Thank you! A small delegation of collaborative partners went to Sacramento to witness the event, and were able to personally thank Randall Winston, Executive Director of the Strategic Growth Council. 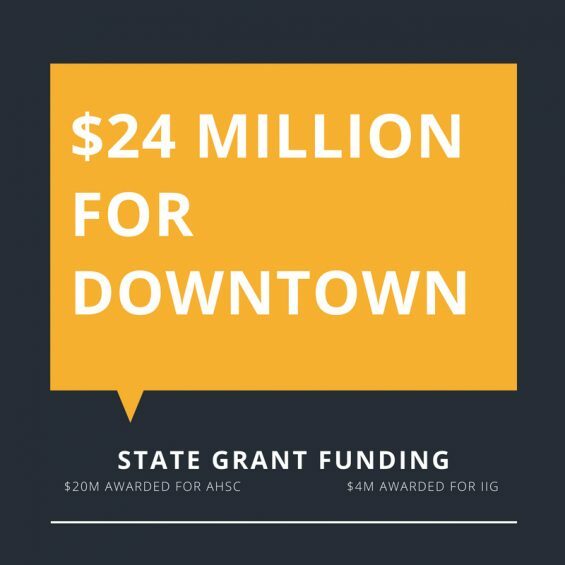 On June 28th, the California Strategic Growth Council considered Affordable Housing and Sustainable Communities (AHSC) grant program staff recommendations, and Redding’s Block 7 Net Zero Housing and Downtown Activation Project (Redding project) was awarded AHSC funding in the amount of $19,959,536. 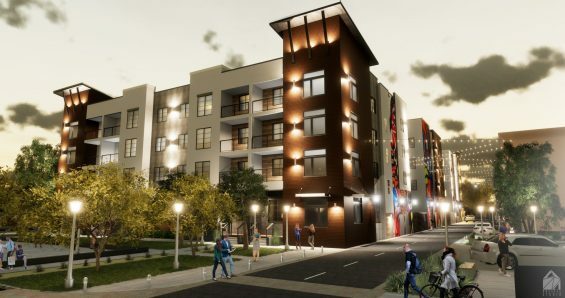 The proposal for a mixed used development in downtown, offering housing and transportation amenities, such as completing the river trail connection from Turtle Bay Exploration Park to downtown, was a joint submission by K2 Land and Investment, LLC (K2), The McConnell Foundation (McConnell), the City of Redding, and Community Development and Revitalization Corporation (CDRC). The official press release by the state is here. 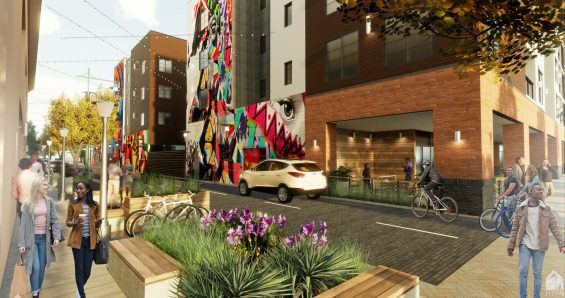 In addition, K2, The City of Redding and The McConnell Foundation were awarded a $4 million grant to be used for the downtown Redding project to build additional parking. 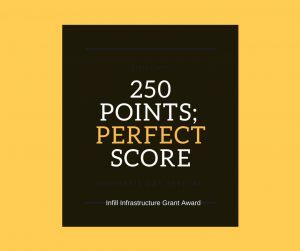 The Redding project final point score for the IIG was 250 out of 250, after taking into consideration the funding commitment for AHSC grant funding noted above. The City of Redding’s downtown parking study is underway to address near, medium & long-term parking needs in downtown. The official press release by the state is here. 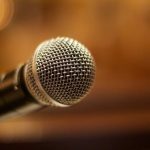 The news of these two grants builds on the momentum for the revitalization already underway with the joint effort between K2 and the City of Redding. 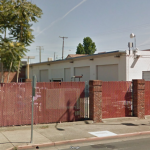 The two entities were successfully awarded a $20M AHSC grant for the Redding Downtown Loop and Affordable Housing Project last year, and more recently the state of California approved funding of $155M for a new courthouse in downtown.